The first few pages of this book, I really struggled, trying to follow as Doris shifted from one thought to another, segueing from topic to topic with no real pause. That is why I have always had a general dislike for stream of consciousness novels. Anyhow, I persevered and gradually found myself getting into the flow of the prose. The story is simple enough, following Doris as she moves through a string of men and troubles in Berlin in the early 1930's. You get a great sense of time and place from her descriptions and the characters come across well too. Anyone who is into the Bridget Jones style 'dear diary' reads will probably find this enjoyable as it is really a sort of precursor to that idea, but written more as a single stream than as dated entries in a diary. I found it an enjoyable read, but I had wished for a slightly different ending and felt a little flat when I turned the final page. Also, the language seemed stiff at times, but I am not sure if that was the style of the piece or just a translation matter; I may read it in German later to compare. 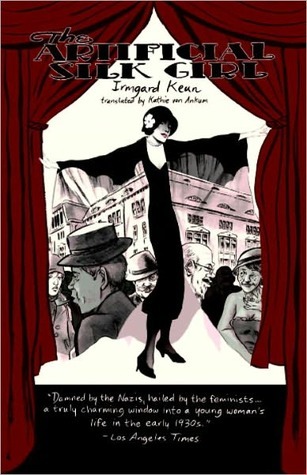 Still, an interesting glimpse at 1930's Berlin, told from an eccentric, upbeat point of view. Worth checking out.